really guys i didnt need those extra things just a thing saying IMickey and the mickey with the Ipod no need for the extra things. Moon - Good trader, Even better friend! Call me Moon in-game. Send a private message to .:Moomalademuffin:. Find all posts by .:Moomalademuffin:. 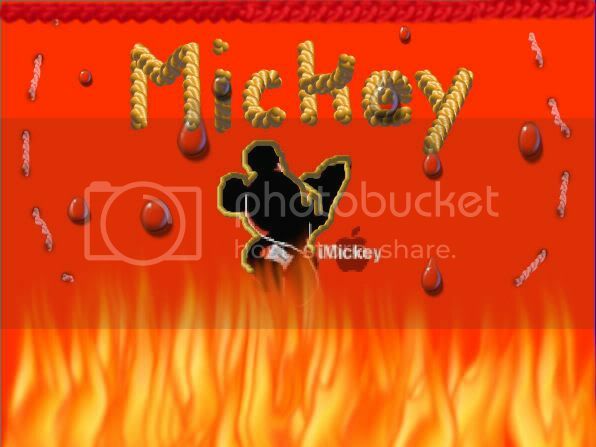 mickey on fire is so [email protected]! LOL, yes, we three use Paint Shop Pro . That, I don't know... xD. Last edited by jeremyv; 10-23-2006 at 11:59 PM.. I use paint xD ! When i go to office max i am looking for paint shop pro. How do you put the those effects?